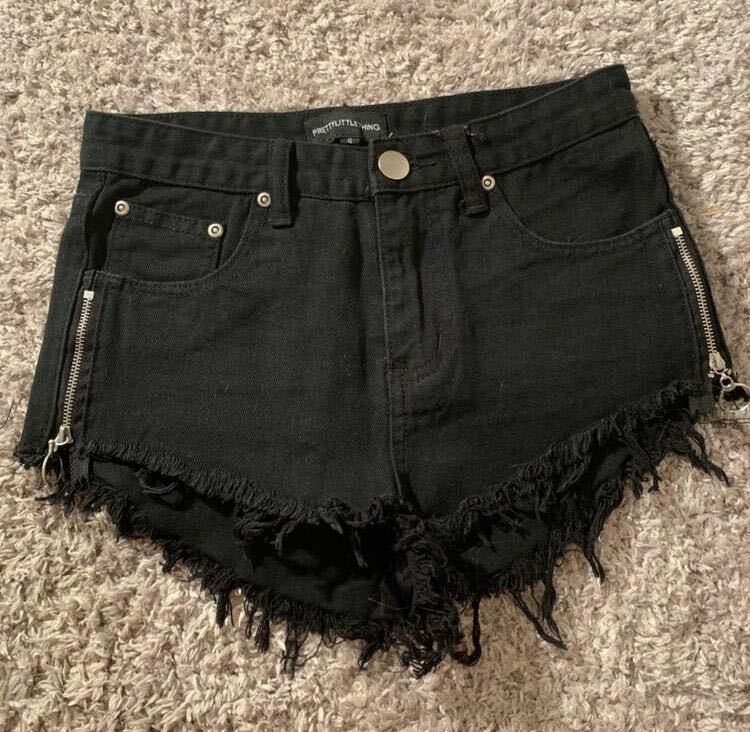 Black shorts with zippers on the side. They have never been worn because they are too small! These do run very small. I am usually a 4, and these are more like a 0!